Last year, I made this keyring for my husband's birthday. I saw the idea in a magazine I borrowed from the library (sorry I can't remember which one) and decided it was the perfect handmade gift for hubby. I have since made another and decided to do up a quick tutorial for those of you who want to give it a go yourselves. 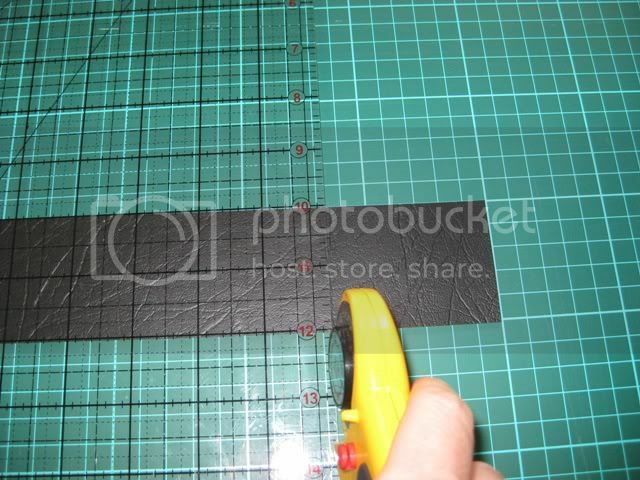 Start by cutting your vinyl. You'll need two black and two clear pieces. 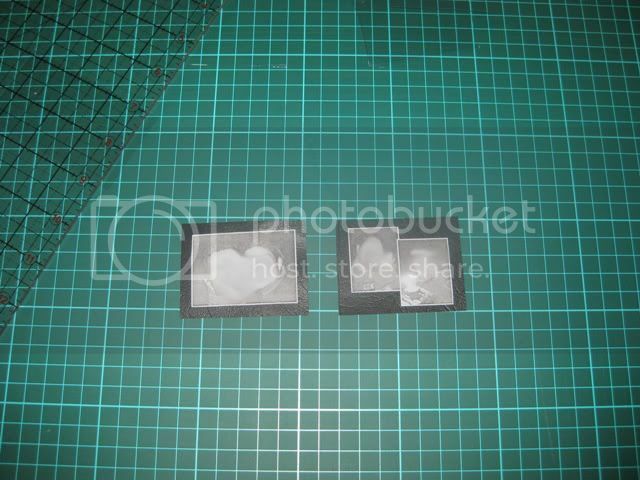 I cut mine 2 X 2.5 inches but you can make yours any size you like. 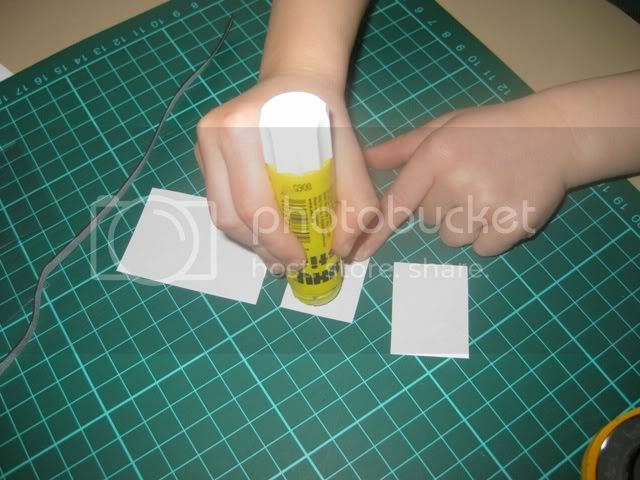 If you don't have a rotary cutter you can just use scissors. 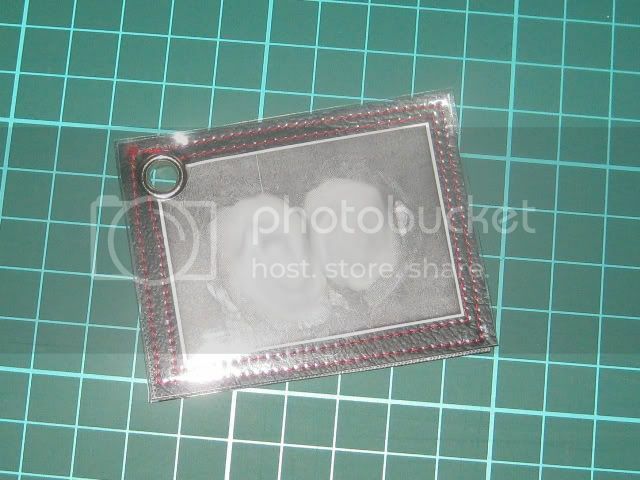 Next you'll need to choose your photos and print them out, making sure they are small enough to fit on the keyring with room to sew around. I just printed my photos at home but you could get them printed professionally if you wanted them a better quality. 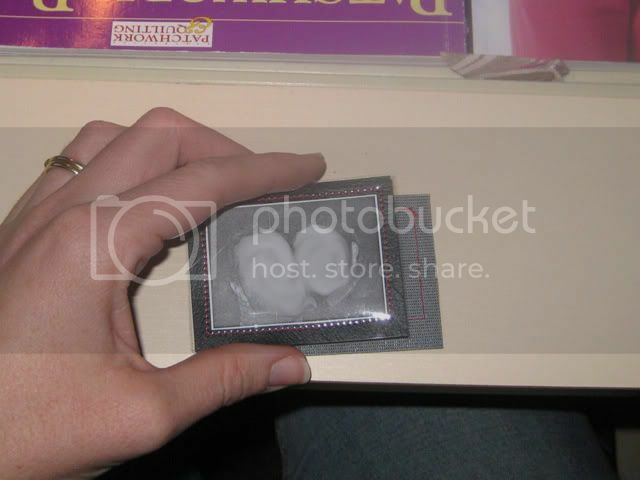 Here are the two black pieces of vinyl with the photo's stuck on. These will eventually come together to form the front and back of the keyring but that's a few steps away just yet. 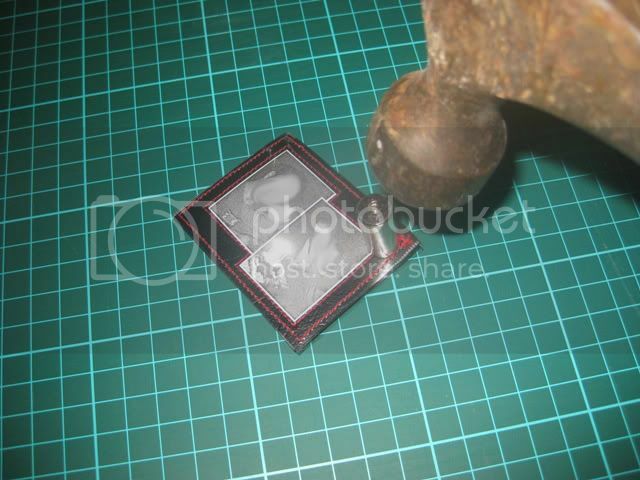 Once you have the photo's in place, you need to take your clear plastic vinyl and lay it on top of each black piece. You are just about ready to start stitching but at this point, I recommend you check the tension and stitch length on your machine. 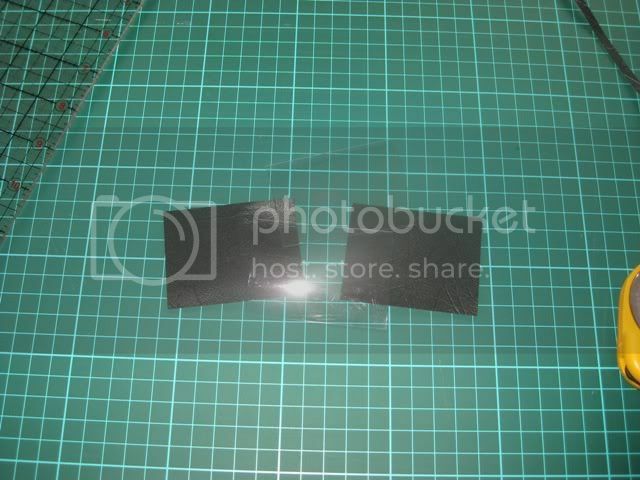 Do this using a scrap of black and clear vinyl placed together and do a few test stitches as I have done here. Make sure you turn your vinyl over to check the tension on the back and adjust if necessary. 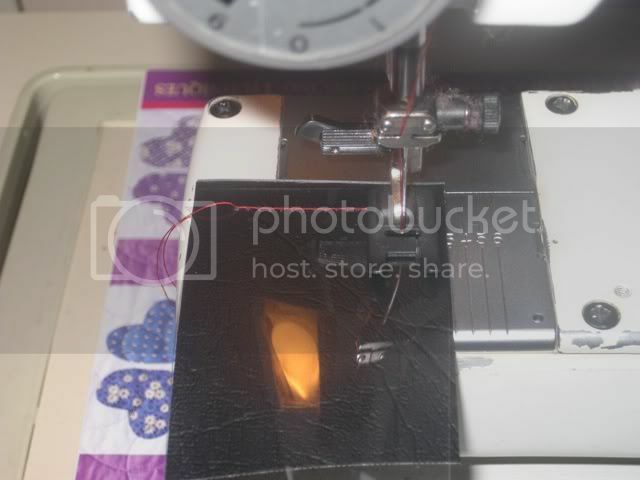 You can also change your stitch length at this time if you would like. I set mine at a stitch length of 2. 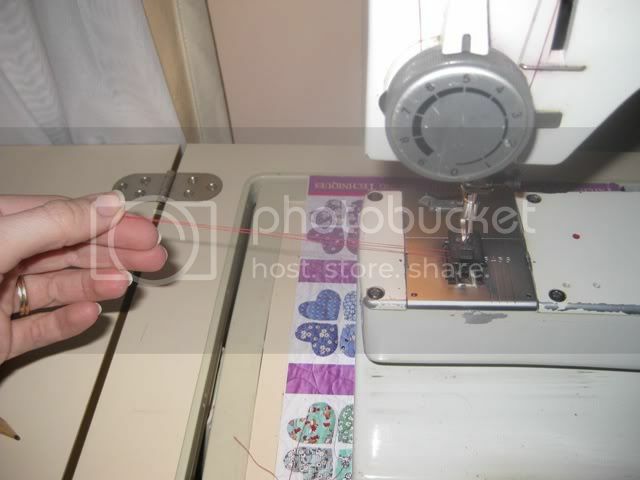 Once you have your machine set up and ready to go, make sure you pull your threads to a fairly long length to begin. 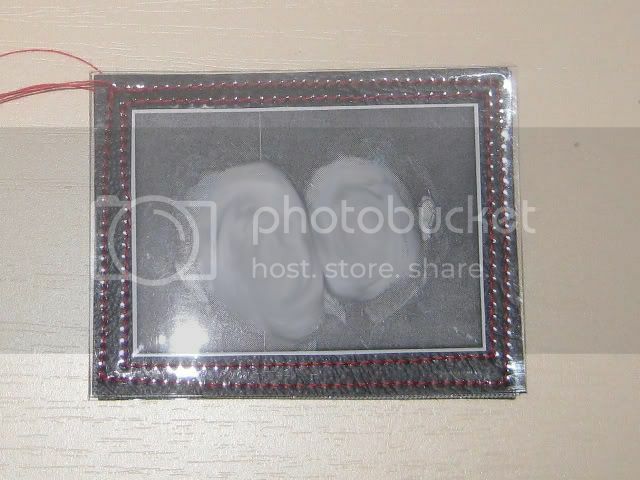 The next thing you need to do is stitch around the photos. 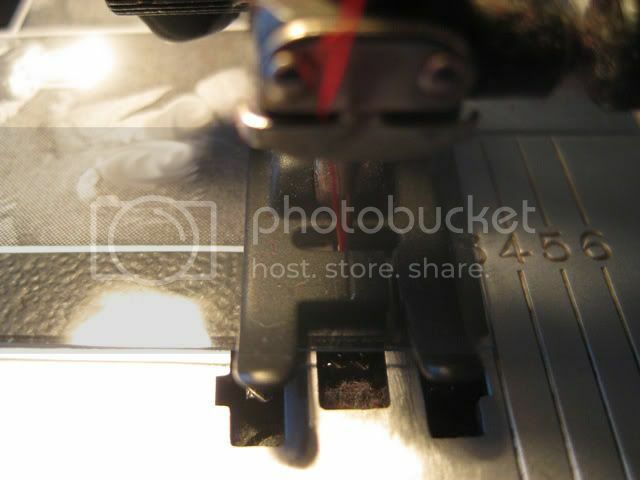 To do this, take one side of the keyring (both the black and clear vinyl) making sure it's all lined up and carefully stitch close to the edge of the photos. 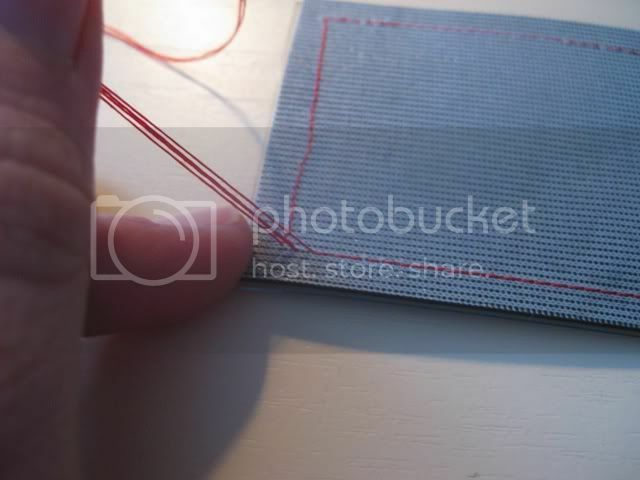 Don't backstitch when you start and finish sewing, just make sure you leave your threads long enough to tie knots. 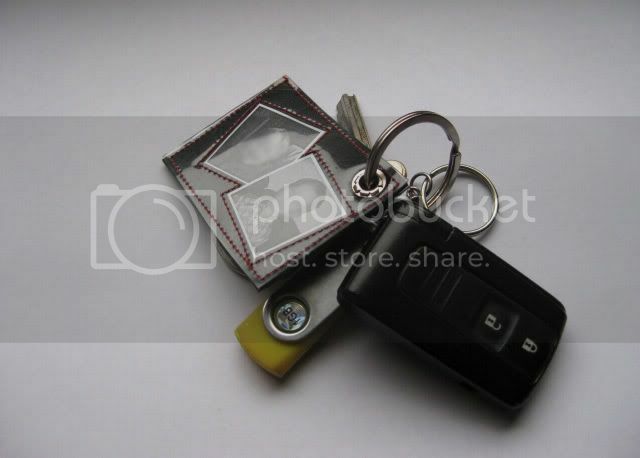 You should now have two sides of your keyring with the photo's stitched in place and long threads still hanging off. You need to flip these over and pull your threads through to the back of each side then tie them in a knot to secure them before cutting them off. Now you want to take both sides and place them wrong side together. You're almost finished. The next step is to add your eyelet. You will need to punch a hole in your vinyl first to get your eyelet through and then attach following package directions. You're all done. 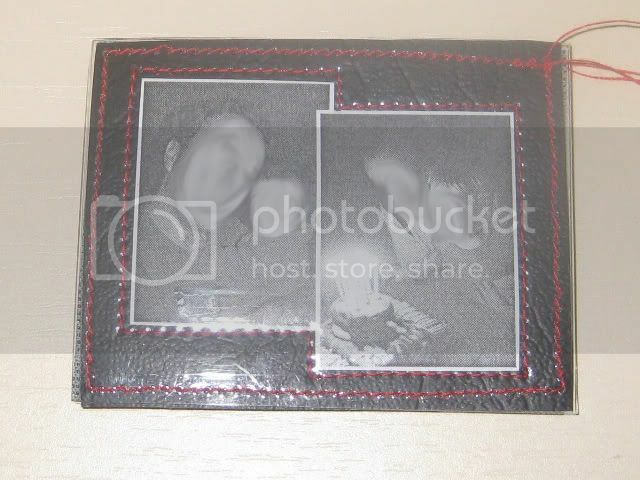 Now you can give it as a gift to a special loved one or keep it for yourself. Remember, if you do make one of these, please leave a comment as we love to see your creations.